● The homepage occasionally features a variety of special promos, which have previously included seasonal sales and bundle deals. ● The company usually offers free shipping on orders that reach a minimum purchase value. In the past, these have included those over £50. This offer seems ongoing, but may be modified or discontinuance at any time, without prior notice. ● The company offers Bulk Delivery on selected products. This service is usually free for orders that reach a minimum purchase value. In the past, these have included orders worth over £250. ● Join the B&Q Club to enjoy exclusive offers and giveaways. If you are over 60, you may also qualify for the Diamond Card, which gives you even more benefits. ● Support the company on social networks like Facebook and Twitter to receive timely updates on the latest products and promos. DIY.com is a resource that individuals can use to find information about how they can renovate their homes without having a lot of experience. On the website you can find information about popular home improvement brands, the right items to buy for the right projects, and more. Home owners can browse through the inspiration, projects, and help & advice pages. They can then go to the shop to buy all of the products that they might need for their project. If you are a returning customer you will be able to create an account to review your past purchases and track your current orders. 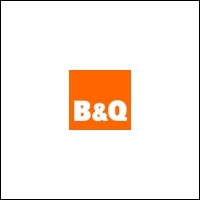 For most up to date offers check out B&Q on Facebook and Twitter or contact B&Q Support for any questions.